Welcome! 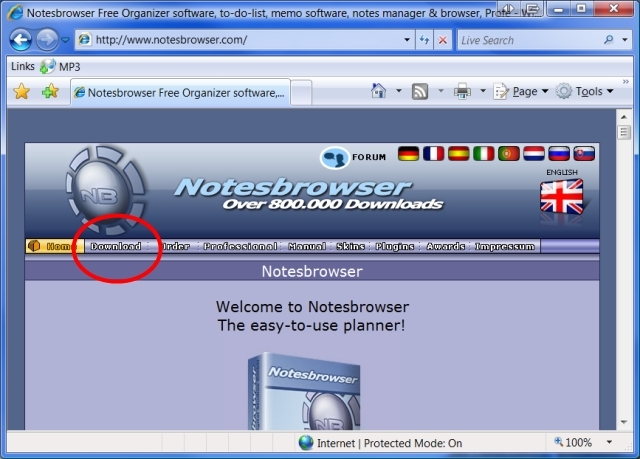 Here is how to install Notesbrowser! 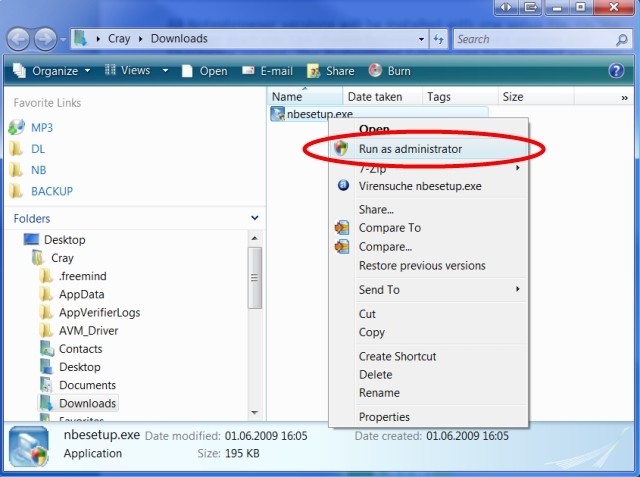 This tutorial describes the installation on an English Windows Vista and with Internet Explorer 7 but the procedure are nearly the same with Firefox or Chrome Browser and Windows 10. The screenshots will look a bit different. 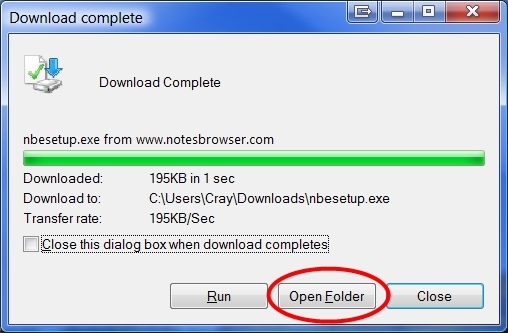 Choose a target path where to save the setup file. If you are not sure what to do, don't change the path at all. 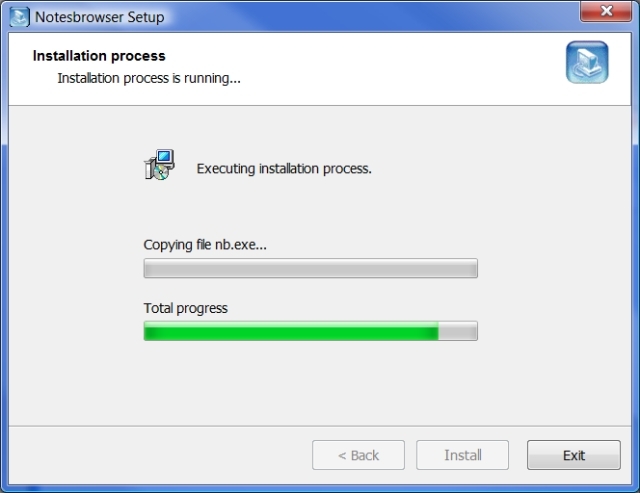 Note: You should remember where you put the file to start the setup later. 8. 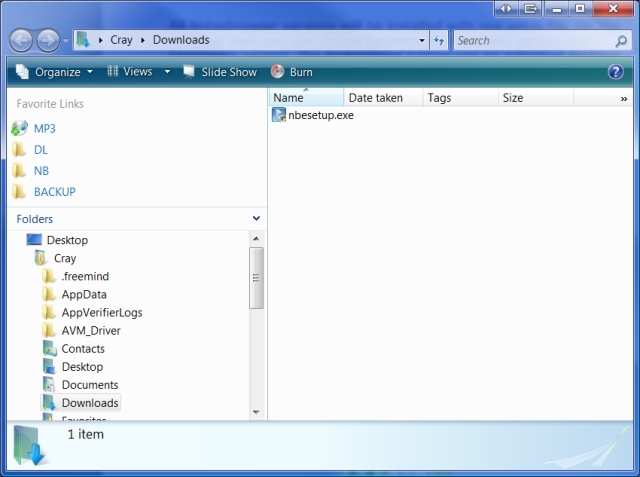 Now click on "Save"
locate the setup file first by clicking on the button "Open folder" to locate in on your harddisk. 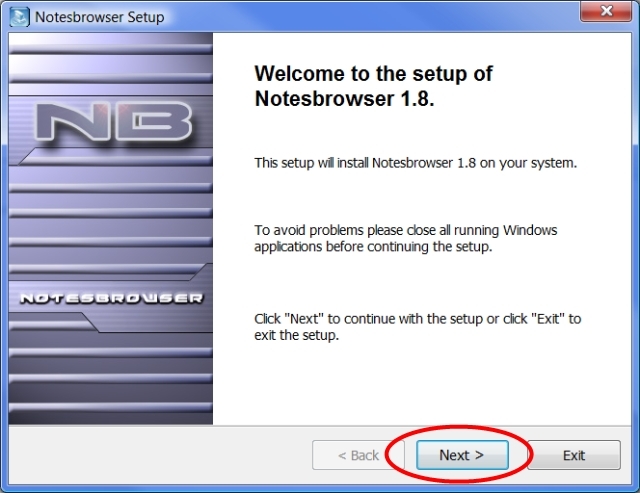 Click on "Next" two times, then on button "Accept". 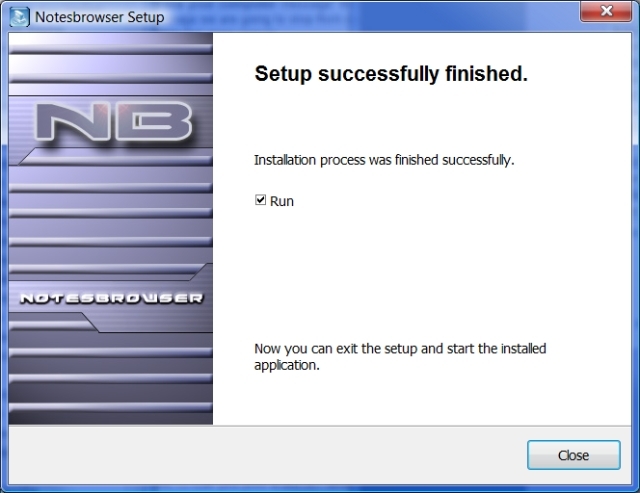 every time you start the PC. You can remove it later if you don't want this. 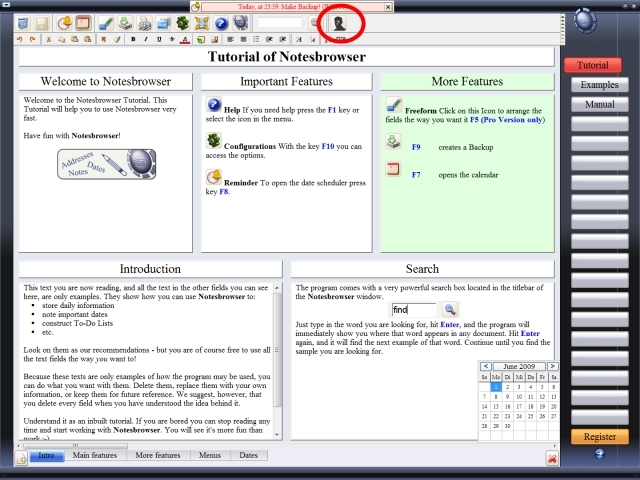 You can also start Notesbrower by clicking on the icon on the desktop. 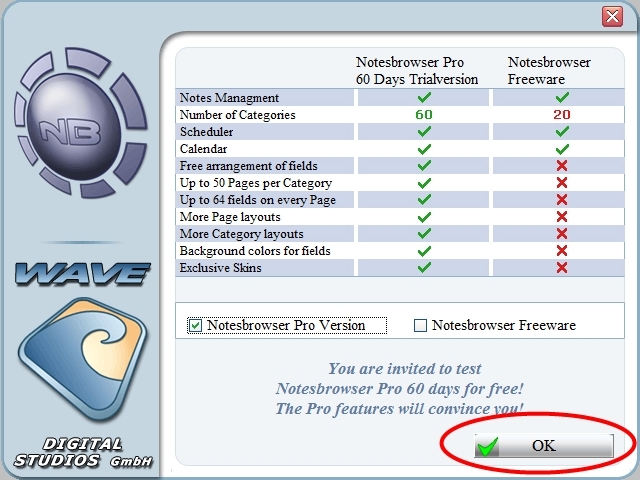 for free and after that you can either buy the Professional or switch to the Freeware (No data will be lost!). 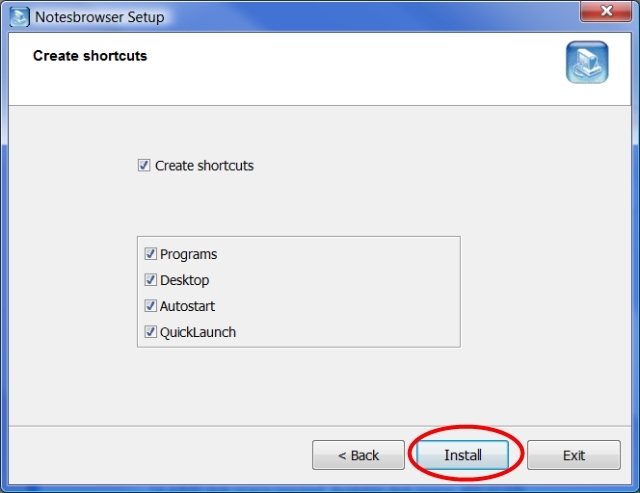 So we recommend you don't change this option and press the OK Button. Finished! 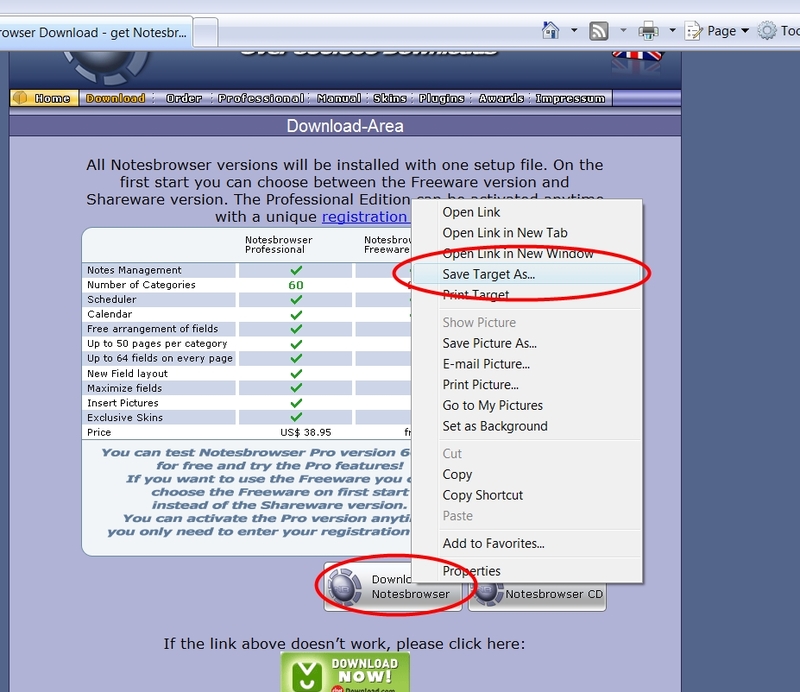 Notesbrowser is now ready and can be used! 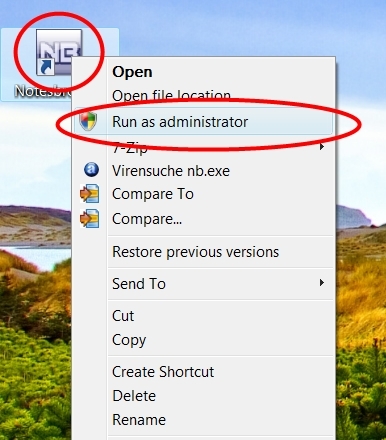 Or alternatively press the key "F10" to open the configurations and click on "register"
Enter the password and the serial number from your Registration Email in the fields on the left side. number. 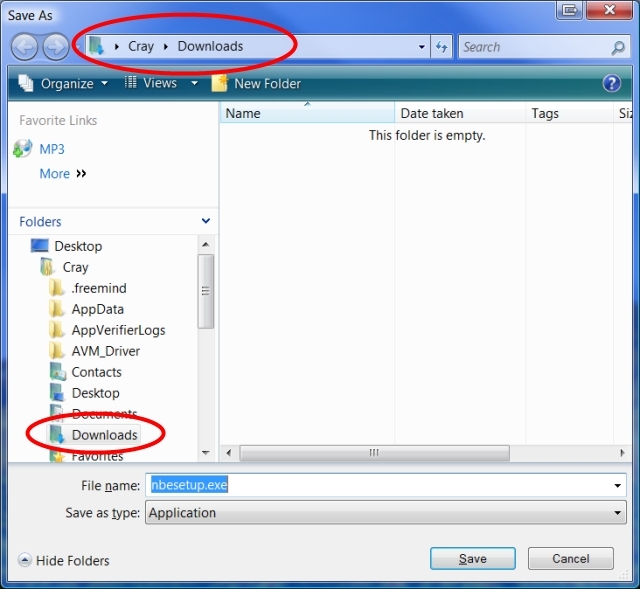 To prevent typing errors you can copy and paste the registration data from the Email. 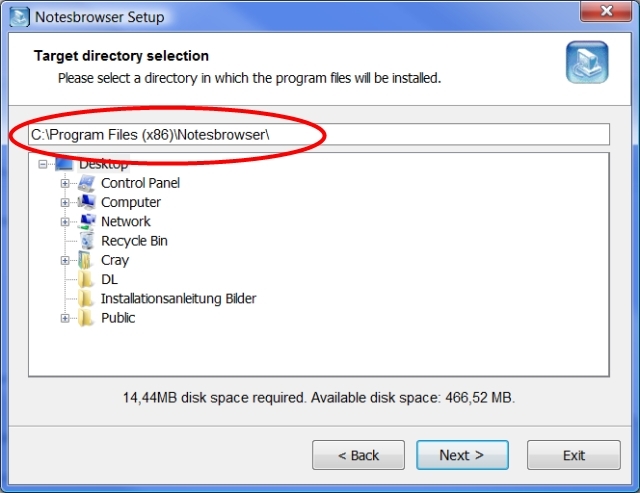 and then copy it again from Notepad and paste it into Notesbrowser. 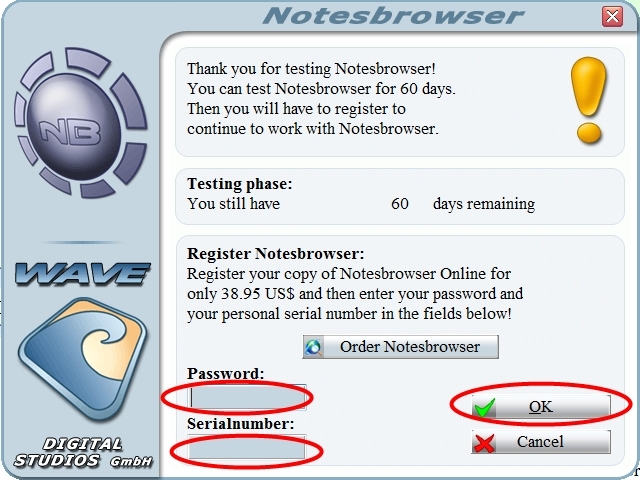 Be sure you don't interchange password and serial! 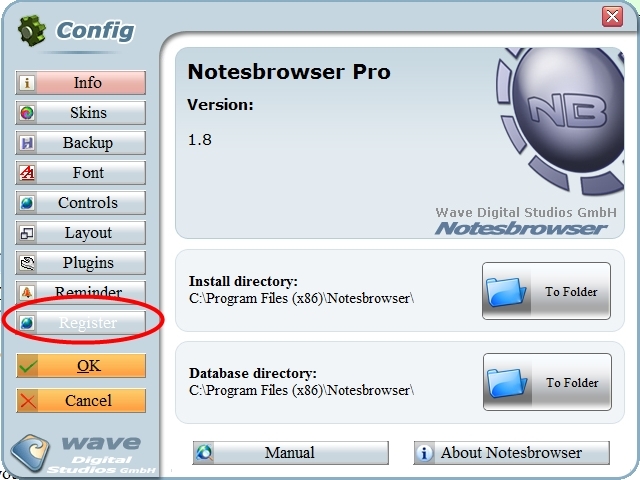 If you still have troubles, send us an Email and we will help you! 6. Finished! 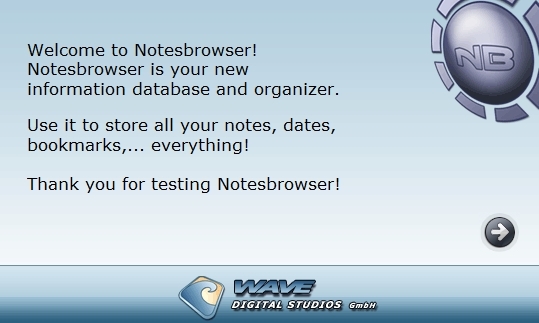 You should be able to use Notesbrowser now! - not(!) 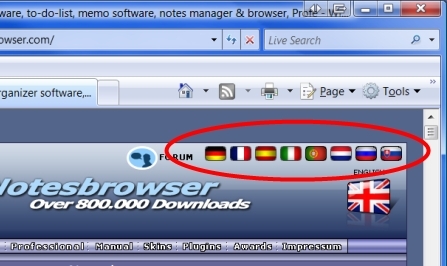 in the forum: Your registration data if you have one - but we help all people, not only customers! Then wait. We will help you, but it may take some time if we are busy.